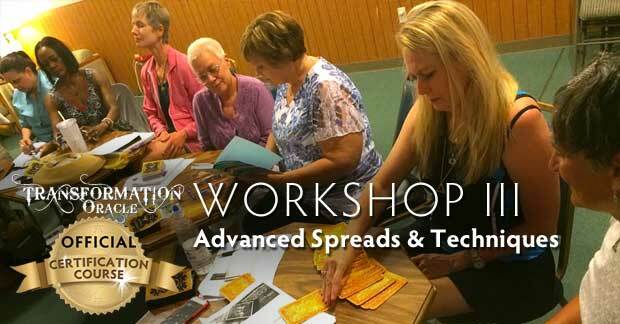 In this workshop we learn and practice advanced spreads, including a channeled spread and expanded versions of basic spreads. 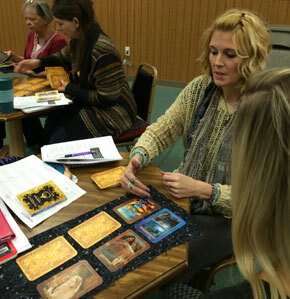 We’ll investigate the mythological figures in the oracle and learn how to interpret them. 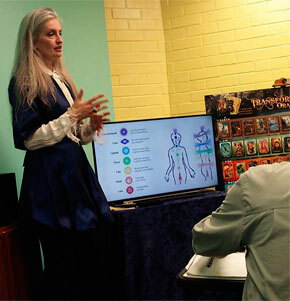 Learn how to clear your energy and cleanse an oracle deck before and after readings! This class is for intermediate to advanced readers ready to plunge into advanced spreads and take readings to a whole new level. Required for all CERTIFIED READER candidates. Open to those who have completed either WORKSHOP I or WORKSHOP II. Not recommended for beginners.